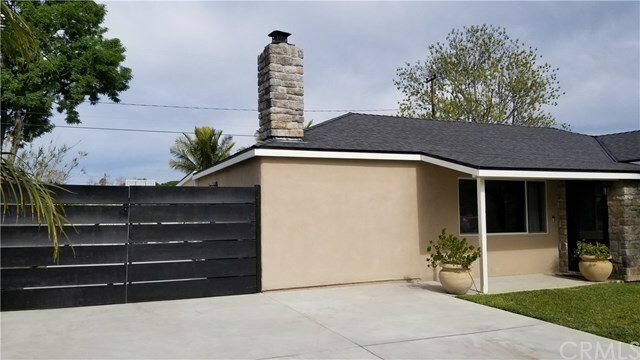 4 Bedroom & 2 Bath home on a quiet street in beautiful Costa Mesa, CA. Only 2 Miles from the water and sand, this is your chance to purchase a remodeled home on a oversized lot close to lots of shopping, recreation, and schools. Granite counter tops in both bathrooms along with the kitchen, travertine tile throughout the home with carpet in the bedrooms. All appliances will stay with the property so this truly is a Turnkey home. Updated to tankless water heater in the laundry area, stackable washer and dryer, so, so much more to list with this home. Lots and lots of parking along with RV hookups and room for two 25+ foot RV's. Feel free to reach out to us at any time with questions.